LATE FEE: A late fee will be assessed to all registrations after 08/22/15. NEW ORDEAL MEMBERS: If you received your Ordeal Membership this past year August 1, 2014 thru September 18, 2015 you should signup as a ‘New Ordeal Member’ to receive a discount. If you have any questions contact the Registrar by email at Brian Wilder or call 310-648-0868. ALL PARTICIPANTS: Registration may be paid on-line, by check to Section W4N - Order of the Arrow, 4103 W175th Street, Torrance, Ca 90504, Or at the door as long as you complete this on-line registration process. A late fee is assessed for any registration not completed on-line by August 22, 2015. Please remember that even though you registered on-line, you must bring with you the completed a COPY of your medical form. BSA Medical Form - Requires both Part A and Part B; Part C is optional. 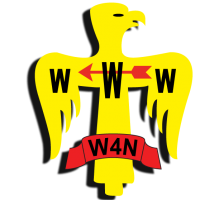 TRADING POST: Use the following link to order items from the W4N Section Trading Post. This will open in another screen and is a separate charge. You will pickup your items at Conclave, there is no shipping. Before 8/22/2015 a discount of $10.00 will apply to all General Member Registrants. Before 8/22/2015 a discount of $15.00 will apply to all New Ordeal Member Registrants. After 9/13/2015 a fee of $60.00 will apply to all General Member Registrants. After 9/13/2015 a fee of $50.00 will apply to all New Ordeal Member Registrants.